I know that it is going to be fun and rewarding and meaningful in the relationship between you and your child. So, here are some reminders, and they are important, so PLEASE READ CAREFULLY AND THOROUGHLY!! 1. You will video record every play session. You will start to record play sessions after we meet for week 3. 2. You will upload your play session to YouTube every week for us to watch in the Hangout. 3. 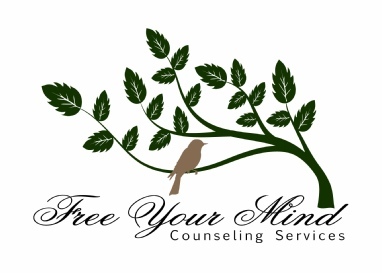 Make your video private and accessible only to me, using this email address - fymcounseling@gmail.com. Once the video is uploaded, click the blue SHARE button to send it to me. 5. In the Hangout, we will watch the first and last few minutes, and where you indicated is a good place. 6. A good guideline for a time stamp is either a skill used effectively, a question about something, a challenging situation, a missed opportunity to use a skill, a spot where you felt clueless about what to do, etc. 7. FINALLY, and extremely important, you must click on this link to upload a video longer than 15 minutes to YouTube. As always, I am here to support you through this new phase, so please call or email me with questions or concerns. I can't wait to watch your videos with you!! COMING SOON! Children’s Anxiety Response to Terrorism. Helping Them Process and Cope with Tragic Events. COMING SOON! Is My Child Intellectually Gifted? Curious What Our Clients Are Saying? “I feel very comfortable working with Grace and that’s a rarity for me. I do listen to everything we talk about even though sometimes I’m not willing to take it in at that moment, and I always reflect on our sessions. I truly appreciate the fact that Grace has never given up on me. She continues to provide me with new perspective, faith, and belief in myself. I can’t thank her enough- I look forward to continuing to flourish.”- J.F.